After crossing the $200-billion capitalization mark earlier last week, Facebook Inc (NASDAQ:FB) launched an open source platform to help other companies follow their own open source paths. The tech-giant also introduced a new networking device at the conference held in San Francisco. TODO, “talk openly, develop openly”, is an open source collaboration project launched by Facebook Inc (NASDAQ:FB) and other major tech giants including Dropbox, Google Inc (NASDAQ:GOOGL), Twitter Inc (NYSE:TWTR), Walmart Labs, Khan Academy, Square, Github, Box, and Stripe have joined hands in the effort. The main purpose of TODO is to help companies address open-source problems and challenges that they experience down the line of development, as explained by James Pearce on Facebook blog. Facebook Inc (NASDAQ:FB) is likely to create a roadmap for companies, who aspire to work on open-source programs but doesn’t understand the right path to start. Pearce further added that he expects more companies to join hands in the project at Todogroup.org. The other major announcement from the company was its new networking device mcrouter. According to a blog post on Facebook blog, ‘Mcrouter is a memcached protocol router that is used at Facebook to handle all traffic to, from, and between thousands of cache servers across dozens of clusters distributed in our data centers around the world.’ The post further stated that mcrouter has handled as many as 5 billion requests per second and the company released the code for mcrouter under an open-source BSD license. Earlier last week, Facebook Inc (NASDAQ:FB) crossed $200-billion capitalization mark leaving a trail of decades-old companies including International Business Machines Corp (NYSE:IBM), The Coca-Cola Company (KO), Intel Corporation (NASDAQ:INTC), and Oracle Corporation (NYSE:ORCL). 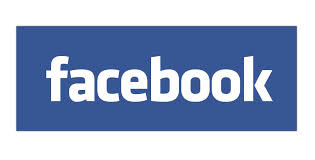 Further, Facebook Inc (NASDAQ:FB) is now the 22nd largest company of the world in terms of market capitalization.